This class will start Sept. 8th and will continue for 8 weeks. 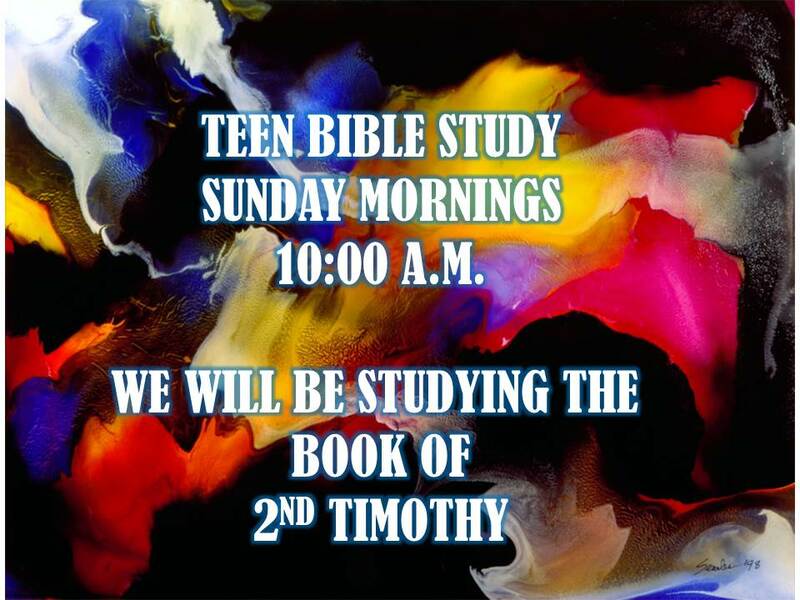 Teens will learn how to handle God’s word Accurately. How to apply His word to their everyday lives. This study will teach them to “BE STRONG”, “CONTINUE IN THE THINGS YOU HAVE LEARNED”, and to “PREACH THE GOSPEL”. Pastor Del Whittington and family moved to Rifle, Colorado on September 9th, 1967. On September 17th, 1967 the first church service was held in the American Legion Hall. Services were held there until the completion of the present church site. On July 20th, 1969 the church was dedicated. In February 1976 the gymnasium and multipurpose building, next to the chapel, was finished. Proudly Built by Spruce Creek Multimedia.